Tikva Frymer-Kensky is a wonderful human being whom I’ve known for a long time. She observes the Sabbath, she does not drive on the Sabbath, which begins Friday night. So last night we all went to the hotel where our speakers are staying, to eat. Before we went to the restaurant, we met in Tikva’s room and said the Sabbath blessings, including the chanting of the Kiddush, the traditional blessing over the Sabbath meal. And I think we were all taken aback at what a gorgeous, beautiful voice Tikva has. In some ways, I wish this were a concert today, instead of a lecture. On the other hand, Tikva is one of the sharpest and broadest Bible scholars it has ever been my privilege to meet and interact with. She received her Ph.D. from Yale. She has taught at the University of Michigan, Wayne State, Beer-sheva University in Israel and the Jewish Theological Seminary in New York. She is currently director of biblical studies at the Reconstructionist Rabbinical College in Philadelphia. This January she will be going to Chicago as a full professor in the Divinity School at the University of Chicago. We congratulate her and wish her well in her prestigious new position as professor of Hebrew Bible. Tikva is the author of several books, including The Judicial Ordeal in the Ancient Near East. She is, incidentally, also a legal historian. She has another book about to be published, Mother Prayer, and, most relevant to her talk today, her most recent book, In the Wake of the Goddesses. 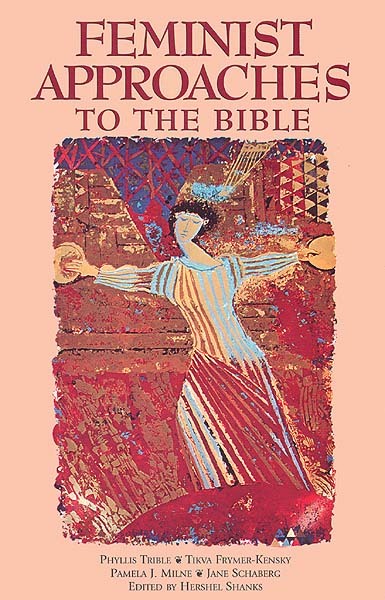 She will address us today on “Goddesses: Biblical Echoes.”—H.S.